A 30 floor tower block. 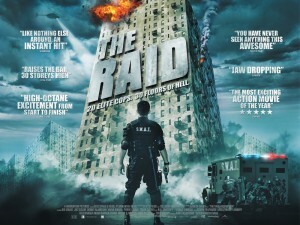 There is something of Bourne, the first 20 minutes of Saving Private Ryan and Reservoir Dogs to the raid. Stylistically the look owes a lot to Bourne. The editing (and this may be the UK cut for the censors) owes a lot to the cut away from the ear cutting scene in Reservoir Dogs. The cutting is such that a lot of the deaths are filled in by the viewers imagination and sound effects rather than a lot of fake blood. Tonally long stretches of the film are as unremiting as the opening 20 minute battle in Saving Private Ryan. Yet there are also the pauses before and after where the characters are shown to be more than punching bags. Now this is a film which can be best described as being sparse in dialogue. We were warned going into the cinema by an usher that it had subtitles. They should have said it has X words in subtitles but don’t worry most of the dialogue is delivered with fists, knives, guns, miscellaneous scenery & an axe. Those words that do appear are milked for all they are worth. The plot hinges on single lines that turn out to have a different meanings from what we originally assume. Did I mention this film is violent? It really isn’t going to be everyone’s taste and I wouldn’t want kids seeing it. For all of that this isn’t a film where characters are seriously injured and then have a tiny scar in the next scene. No characters walk away unhurt from this battle. Overall this one isn’t going to be to everyone’s taste – it’s extremely violent and it’s got subtitles. 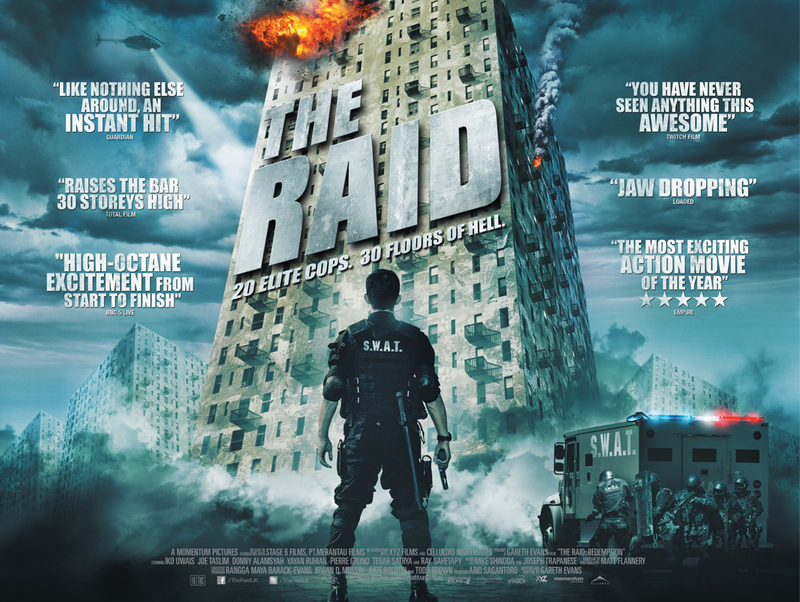 If those two things don’t put you off The Raid is well worth a look.